1. Florida (’10 Record 47-17) – The young Gators reached Omaha a year earlier than expected and that bodes well for my top ranked team. Sophomores Austin Maddox 3B (.333 17 HR 72 RBI), Nolan Fontana SS (.287 3 HR 23 RBI 11 SB), Brian Johnson 1B/LHP (.405 4HR 21 RBI 6-4 4.03 ERA), and Mike Zunino C (.267 9 HR 41 RBI) were all Freshman All Americans. Florida returned their entire weekend rotation led by Johnson and Junior Alex Panteliodis (11-3 3.51) but newcomer and unsigned 1st round pick Karsten Whitson (9th Overall – SD) may oust someone. Worst case he becomes the best midweek starter in the nation. 2. TCU (’10 Record 54-14) – The Horned Frogs return their entire weekend rotation that went a combined 39-5 last season led by draft eligible sophomore and likely top 5 pick Matt Purke (16-0 3.02). The departure of C Bryan Holaday (Detroit – 6th Rnd.) will hurt as he was the heart and sole of this team both offensively and defensively. The leadership will come from preseason All American SS Jr. Taylor Featherston (.338 8HR 52 RBI). 3. UCLA (’10 Record 51-17) – Last year’s College World Series runner up returns their top 2 starters, Junior RHPs Gerrit Cole (11-4 3.37) and Trevor Bauer (12-3 3.02). Both will go in the 1st round and freshman RHP Adam Plutko, who was an unsigned 6th round pick (HOU) could round out the rotation. Top offensive returner, Jr. Dean Espy (.345/.395/.575) will be critical to bringing UCLA back to Omaha. 4. Vanderbilt (’10 Record 46-20) – Everyone seems high on Vanderbilt this year and I’m no exception. We know that Jr. RHP Sonny Gray (10-5 3.48) will be good on Friday nights but he’ll also be facing some of the best competition in the nation each start. Jr. Jack Armstrong really needs to live up to his potential this season if the Dores are going to live up to this ranking. Potential 1st rounder Jr. 3B Jason Esposito (.359 AVE 12 HR 64 RBI 31 SB) leads an offense that returns most key contributors. 5. Texas (’10 Record 50-13) – The losses of Sunday starter Brandon Workman (Boston – 2nd Round) and closer Chance Ruffin (Detroit – 1st Round Supplemental) will hurt but the Longhorns still return likely top 10 pick, Jr. Taylor Jungmann (8-3 2.03 and Sr. Cole Green (11-2 2.74). Like last season, run production will be the Horn’s achilles heal. Key returnees Sr. 1B Tant Shepherd (.337 AVE 8HR 37 RBI) and So. CF Cole Walla (.316 AVE 8HR 40 RBI 14 SB) will need to lead the way offensively. Junior SS Brandon Loy is a plus defender and infield leader. 6. Clemson (’10 Record 45-25) – Jr. 3B John Hinson (.351 17HR 75RBI 25SB) and Senior OF Jeff Schaus (15HR 87RBI) will continue to drive a potent offense. On the pitching side, they’ll miss Casey Harman (Cubs – 29th Round) but they’ll return Jr. RHP Scott Weisman (9-2 4.90). 7. Cal State Fullerton (’10 Record 46-18) – Despite losing first rounders Christian Colon (KC 4th overall) and Gary Brown (SF 24th Overall), the Titans should again be strong thanks to the return of one of the best pitchers in the country in LHP Noe Ramirez (12-1 2.54 ERA) as well as one of best two way players, Jr. Nick Ramirez (.346/.395/.646 16HR 75RBI, 1-3 3.50 11 SV). DH Carlos Lopez (.354 7 HR 51 RBI) was a Freshman All American last year and new comer OF Michael Lorenzen could do the same this year. 8. Oklahoma (’10 Record 50-18) – The Sooners don’t have many draft prospects on their team but they’re led by Jrs. 3B Garrett Buechele and 1B Cameron Seizer, both sons of former MLBers (Steve and Kevin). Senior RHPs Michael Rocha (8-2 3.53) and Bobby Shore (10-5 4.12) went undrafted last year and JUCO transfer RHP Burch Smith was an unsigned 20th round pick of the Indians. 9. Stanford (’10 Record 31-25) – I’m picking Stanford to be this year’s Florida. A young team with so much talent that they virtually will themselves to Omaha a year earlier than they should. Junior LHP Brett Mooneyham was a 15th round pick of the Padres in 2008 but would have gone much higher if not for his strong college commitment. He has not yet put it all together, posting a BB/9 rate of 7.22 and 6.41 the past two years. Now a veteran, he’ll solidify the Cardinal staff but freshman RHP A.J. Vanegas may be the star. Offensively, Stanford is led by So. SS Kenny Diekroeger (.356 5 HR 41 RBI) but I’ll be looking for big production from Freshmen Austin Wilson and Brian Ragira. 10. Connecticut (’10 Record 48-16) – This ain’t your mamma’s UConn baseball team. A year after producing a supplemental first round pick in 3B Mike Olt (Texas), the Huskies have two more first rounders on their roster in OF George Springer and RHP Matt Barnes. They’ll also benefit from the return of Sr. RHP Elliot Glynn, an unsigned 49th round pick of the Padres. 11. Arizona State (’10 Record 52-10) – The Sun Devils lost a great deal of talent in 2010 including their entire weekend rotation (Seth Blair – 1s – STL, Merrill Kelly – 8th Rnd. – TB, and Jake Borup – 23rd Rnd. – PHI) as well as their closer RHP Jordan Swagerty (2nd Rnd. STL). Sophomore RHP’s Brady Rodgers and Jake Barrett will take their place as the next great starting pitchers in Tempe. Deven Marrero, the sensational sophomore shortstop will team up with All American 2B Zack MacPhee and Rudy’s nephew Johnny Ruettiger to power the offense. It’s a shame this team isn’t eligible for post season play but they should be strong again in 2012. 12. Oregon (’10 Record 40-24) – Ace LHP Tyler Anderson can pitch with anyone in the PAC-10 and Scott McGough is one of the nation’s most talented relief pitchers. Just imagine how good this staff would be if the Rockies hadn’t signed Tyler Matzek at the 2009 deadline. Like Stanford, the Ducks will need production from talented their talented freshmen class to bolster their offense. OF/C Stefan Sabol is an unsigned 17th round pick (Braves) and was considered the #95th best prospect in the 2010 draft by Baseball America. 13. South Carolina (’10 Record 54-16) – Last year’s National Champions lost their top two starters in Sam Dyson (Toronto 4th) and Blake Cooper (Arizona 12th) and it’s those pitching concerns that prompted me to rank them this low. The Gamecocks do return possible top 10 pick OF Jackie Bradley Jr. (.368 13 HR 60 RBI) and lights out closer So. RHP Matt Price (2-1 1.34 10 SV). 14. Florida State (’10 Record 48-20) – The loss of Tyler Holt (Indians 10th Round) hurts, but FSU still returns one of the best two way players in the nation, LF/RHRP Sr. Mike McGee (4-1 2.96 ERA 13 SV – .328 17 HR 73 RBI). I also like former walk on 3B Sherman Johnson (.337 10 HR 58 RBI). LHP Sean Gilmartin will return as the Friday starter (9-8 5.24). 15. Texas A&M (’10 Record 43-21-1) – Jr. RHP John Stilson led the nation in ERA serving as the Aggies closer last season and should be just as effective in the rotation. The Aggies will also return So. Michael Wacha (9-2 2.90). Like Texas, this Big 12 contender will have an issue scoring runs. 16. Virginia (’10 Record 51-14) – Gone is weekend stalwart and Strasburg killer Robert Morey and his 9 wins as the Saturday starter, but Junior Danny Hultzen (11-1 2.78) will resume his role as ace for a 3rd straight year. Sophomore Brandon Kline (5-1 3.62) will assume the Saturday role. With most offensive standouts gone, the Virginia will rely heavily on 3B Steven Proscia. 17. Rice (’10 Record 40-23) – Junior 3B Anthony Rendon (.394 26 HR 85 RBI) can carry an offense and it’s a good thing because Rice doesn’t have much else offensively. Sophomore SS/2B Michael Ratteree (.281 10 HR 64 RBI) will provide some protection. 18. Arizona (’10 Record 34-24) – Experience is king in college baseball and Arizona returns most of their team. Sophomore RHP Kurt Heyer (7-4 3.26) highlights a deep rotation. 19. Baylor (’10 Record 36-24) – Junior RHP Logan Verrett (5-3 3.28 ERA) has first round talent and sophomores Logan Vick (.329 10 HR 27 RBI) and Max Muncy (.300 11 HR 53 RBI) will look to carry the offense. 20. Coastal Carolina (’10 Record 55-10) – Coastal lost weekend veteran Cody Wheeler (Arizona 5th Round) but Junior RHP Anthony Meo (13-2 2.61) is a possible 1st round pick. If Junior OF Scott Woodward can return to freshman form, he could help carry the Chanticleers deep into the post season. 21. California (’10 Record 29-25) – It’s fitting that in the year it was announced that the Cal will drop it’s baseball program, the Golden Bears have a legitimate Omaha contender if they don’t let their impending doom become a destruction. 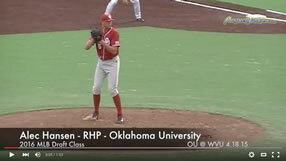 OK let’s be honest, a lot of things need to go right for Cal to make it to Omaha, but they do return their entire rotation (RHP – Eric Johnson 6-3 4.09, LHP Justin Jones 10-6 4.22 and RHP Dixon Anderson 5-4 5.17) and they did have one of the better recruiting classes in 2010, led by RHP/1B Eric Jaffe and C Andrew Knapp. 22. LSU (’10 Record 41-22) – Juniors Mikie Mahtook (.335 14HR 50 RBI 22 SB) and Austin Nola (.320 5 HR 52 RBI) have been mainstays on the contending Tigers. The loses of Anthony Ranaudo and Austin Ross will leave a gap in the weekend rotation that may be filled by freshman stud to be RHP Kevin Gausman. The most crucial player however, is closer Matty Ott. If he can return to freshman form, it will lesson the impact of the inexperienced weekend starters. 23. Miami (’10 Record 43-20) – Junior 3B Harold Martinez (.295 21 HR 69 RBI) and Sophomore SS Stephen Perez (.255 8HR 38 RBI 24 SB) will lead the offense and the pitchers will try to gain an identity after losing the entire weekend rotation. 24. College of Charleston (’10 Record 44-19) – Junior 3B Matt Leeds (.326 21 HR 88 RBI) was the Southern Conference player of the year and C Rob Kral (.344 15 HR 57 RBI), 1B Jose Rodriguez (.355 16 HR 69 RBI) and OF Cole Raker (.378 8 HR 54 RBI) were also All Conference Selections. 25. Georgia Tech (’10 Record 47-15) – Junior 3B Matt Skole (.335 20 HR 63 RBI) leads the offense and the Yellow Jackets will also get contributions from freshman DeAndre Smelter, who was an unsigned Twins 14th Rnd pick. Jed Bradley (9-5 4.83), Mark Pope (8-1 3.78), and Kevin Jacob (0-0 5.23 2 SV) will lead the pitching staff.